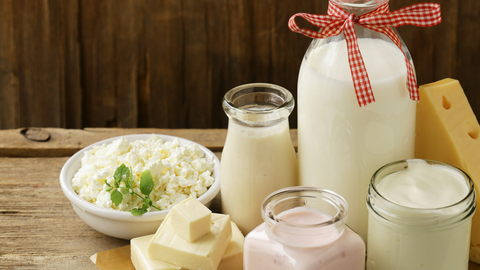 New rules for the labeling of dairy products come into effect. January 11 end of the 180-day period that was given to producers of dairy products containing vegetable fats, to replace the packaging and design of new goods declarations with changed names and labelling. According to the amendments to the technical regulation of the Customs Union "On safety of milk and dairy products" (adopted on 10 November 2017, entered into force on 15 July 2018), the names of milk-containing products should be clear that they contain oils. "In the name must include the words "milk product with milk fat substitute, as well as information on production technologies," from the updated technical regulations. The text should be applied in a font not less than 2.5 mm on the front side of the package or label, which also must be placed the words "Contains vegetable oil", that is at least 3 millimeters. All this should be easy to read. To use in the names of such products the "dairy" terms and their combinations is prohibited. For example, "oil", which contains vegetable fats, under the new rules will be called: "milk product with milk fat substitute produced by technology of oil". Active participation in drafting amendments were made by the experts Roskoshestvo. "Now the new standards are clearly spelled out under what conditions and how should be called milk, milk and composite milk products. On Roskoshestvo worked together with industry experts. And in January on the shelves should not be products that are adulterated with vegetable fat, but referred to as the dairy," said the head of Roskoshestvo Maxim Protasov. Reference. From p. 82 of the CU TR "On safety of milk and dairy products": "name of the milk product with a substitute of dairy fat, including the invented name of the product, and the information field is applied to consumer packaging in close proximity to the portion of the surface of the package facing the consumer when finding the product on a shelve or on the part of the surface of the package, which is easily accessible for consumers to obtain information about the purchased product."